“I achieved 117% of my target!” I could hear the excitement in his voice and feel the pride as he shared his achievement with pride. He was off on a fully paid overseas holiday with his wife. He went quiet and I could sense a feeling of unease. He had started the year with such anticipation – but fallen by the wayside allowing him to be infected with what I call the ‘sales target disease’. In many organisations I observe goals are set either as an increase in last year’s result or as a portion of some target set by head office. If the economy is anticipated to improve perhaps a few additional percentage points will be added. The problem with this is in good years targets tend to be set too low and in tough years too high. I sat in on a company sales meeting to listen to the ‘talk’ going on in the team. A rumour was going around that quotas for this year were going to be tough! The sales manager got up to make his presentation. He finally put up the PowerPoint slide that showed quota allocations for the New Year. There was an audible gasp and groans around the room. To make it worse, the sales manager apologised and said “I am sorry folks, but these numbers are set based on what the board allocated.” I understood now why their previous year had been so difficult. The team was allowing the company to set their expectations. The two biggest challenges for business owners and sales professionals are setting the right personal goals and performing consistently. Companies set goals and commission plans for their own purposes. If you are in business these goals may be set by your suppliers; if you are a sales person they may be set by your sales manager. While they may consider you in setting these sales goals, in reality these goals are set to meet corporate objectives. Most sales people accept these company goals as their personal goal. If you are average you will as well. The most successful sales people, however, set their own goals. Businesses and sales people who have their own goals tend to smash company set goals. As a sales manager I loved it when my sales people had their own agenda – I just needed to support them and help them achieve their objectives and mine would be achieved as a result! It was the sales person without a personal goal I was concerned about. To set your goals and establish your vision requires effort. What results do you want to see from your territory? Coming off a good year, resetting and doing it all again is tough. Like sports teams, I see businesses and sales people who have one good year and then drop off. The measure of a great sporting team is consistently winning. One championship is of little value if you end up on the bottom the very next year! Great sales people consistently perform. 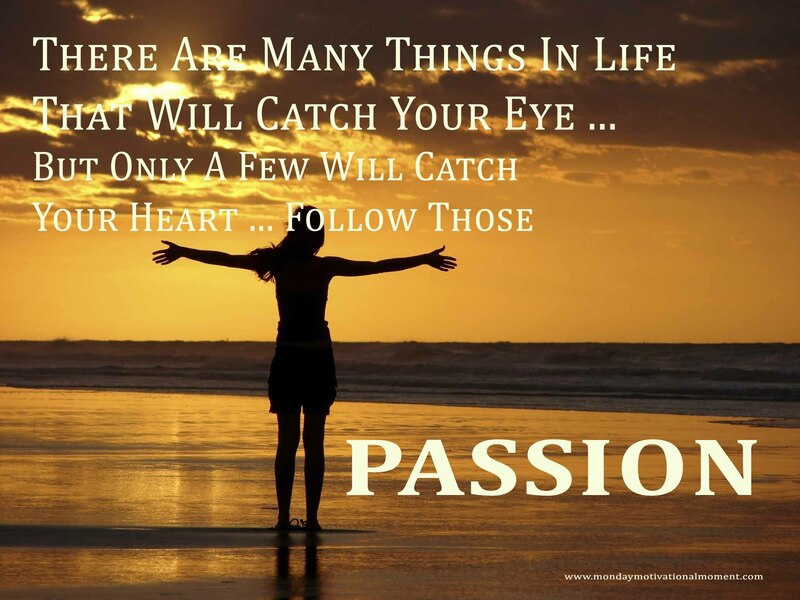 A sports coach knows when a player has ‘lost the vision’ or ‘passion’. These are the players that are traded or retired. When I see a ‘consistent quota’ sales person moved on it is not their results in question it is typically their passion and vision that has gone. The key to continual success is ongoing evaluation of what is working well and what is not. When sales people roll into a new year there is a natural renewed enthusiasm. Many companies have a ‘Sales Kick Off’ event to help bolster this enthusiasm. While this style of event is great, the enthusiasm it builds wanes very quickly. Without ongoing reinforcement the team falls back into the same old habits and when twelve months roll by they wonder why their results are the same. Every month, and at minimum every quarter, successful business and sales professionals take time out to review what is working well and do more of this. They also review what is not working and ask questions like “What can we do to make this work better?” and if it can’t be improved stop doing it. Step into the New Year with a resolve to be different – to set your own personal goals and exceed them. Do not allow yourself to settle for the ‘lowest common denominator’ quota set by your company. Examine your successe during the last twelve months. Write them all down. Do not miss anything. Even little things like ‘I got up earlier every day’ or ‘I made my first appointments at 8:00 instead of 9:00’ are all important successes to recall. If you won a deal, ask your client why they decided to buy from you (do not cheat on this one – ask them and you will be surprised what they say). Perhaps you went to the gym more regularly during these months, or you washed your car more often (to feel better about yourself). What ever it is write it down. Examine all the things you struggled with. What could have worked better? What are the excuses you make to yourself for late appointments? Poor (or no) follow-up? Did you find yourself driving long distances for one appointment? Or going to the office just because it seemed the right thing to do? Whatever it was that did not work well for you I want you to write it down. What income level do you want? Where do you want to take the family on holidays? Where would you like to buy that new house? Is there some education you want? A physical challenge to undertake? Break this down into monthly and quarterly goals. Visualise yourself achieving the goals. Create a Pinterest board of images of your goals. How will you feel when you achieve them? Remember that feeling so you can bring it back when you feel down. Create a picture of yourself achieving these goals as your screen background. Read your goals onto your iPhone and listen to them in the car. Get them made into a subliminal track and listen to them ‘under’ your favourite music. Whatever it takes. Set yourself up for success and set your own agenda. This entry was posted in Monday Motivational Minute and tagged coaching, goals, results, sales, vision. Bookmark the permalink.